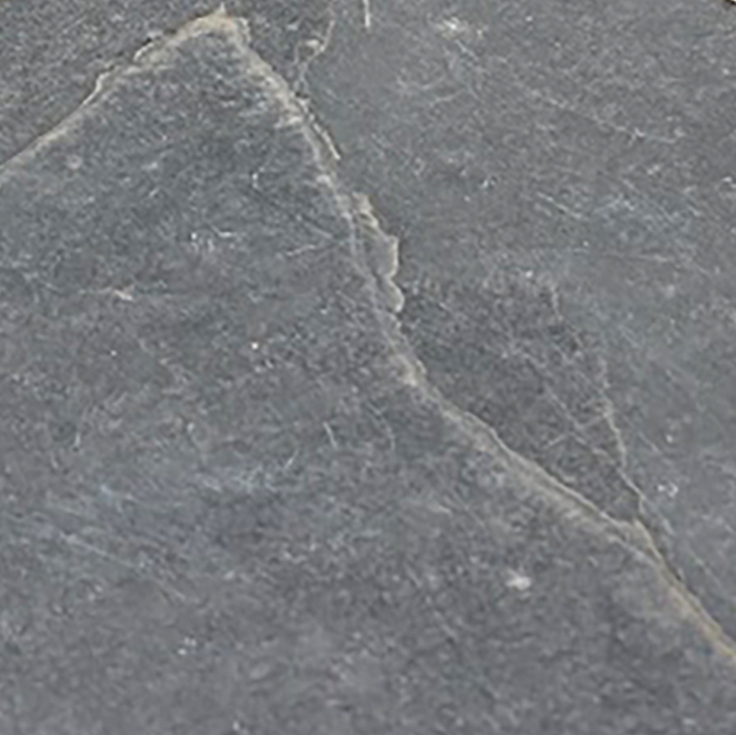 Slate is a fine grained metamorphic rock, with low water absorption, fire resistance and great energy efficiency. It is incredibly durable, and has been used since the Medieval period in Roman Forts and other structures as flooring and roofing. 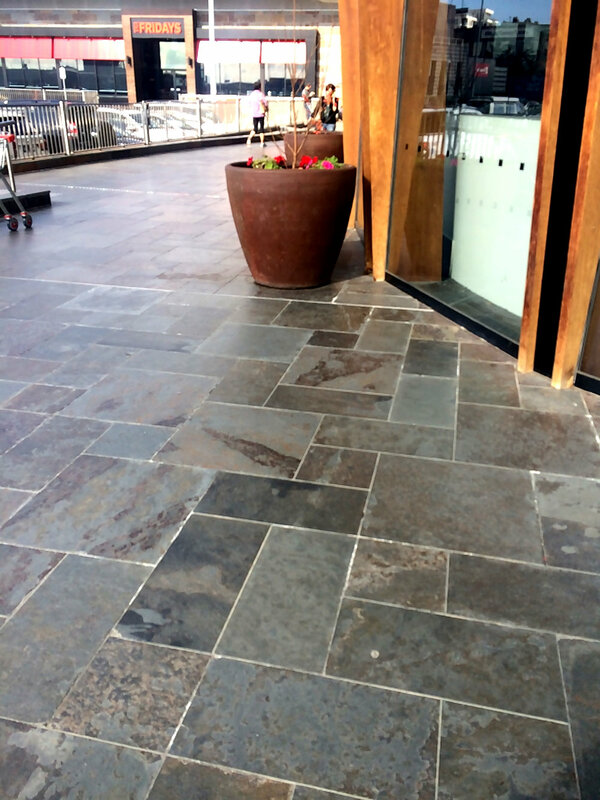 There are hundreds of metres of slate throughout Doncaster Westfield Shopping Centre, inside and out. 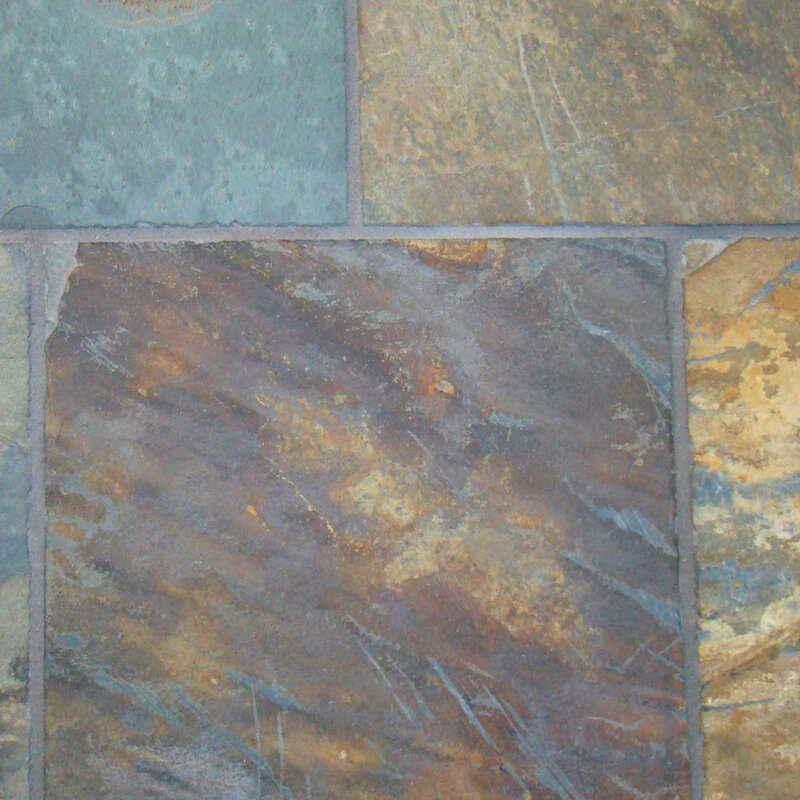 There are many beautiful colours of slate, often in each unique piece. 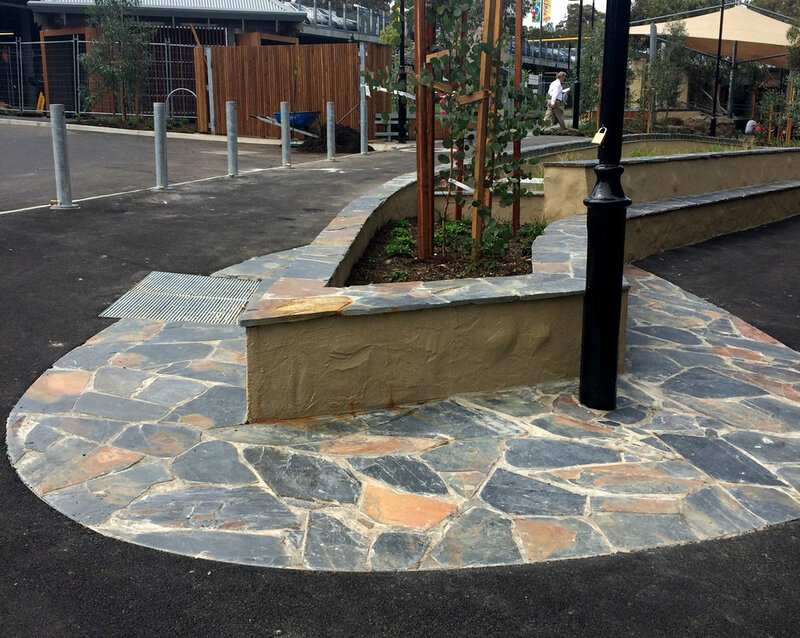 The multi colour makes it easy to maintain. There are up to Fifty Shades Of Grey! 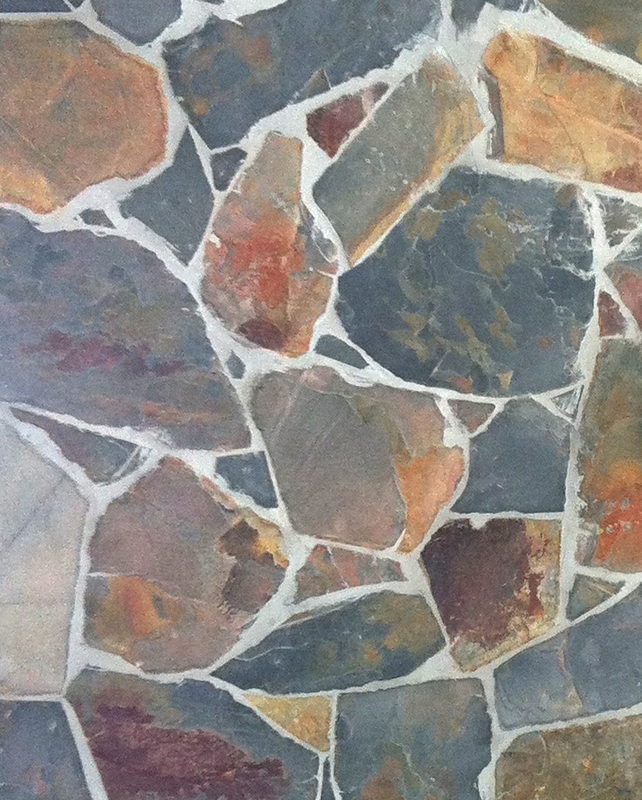 Suitable for inside homes, outdoor pathways, patios and wall facing. Can be made to look shiny or matt, depending on individual preference. 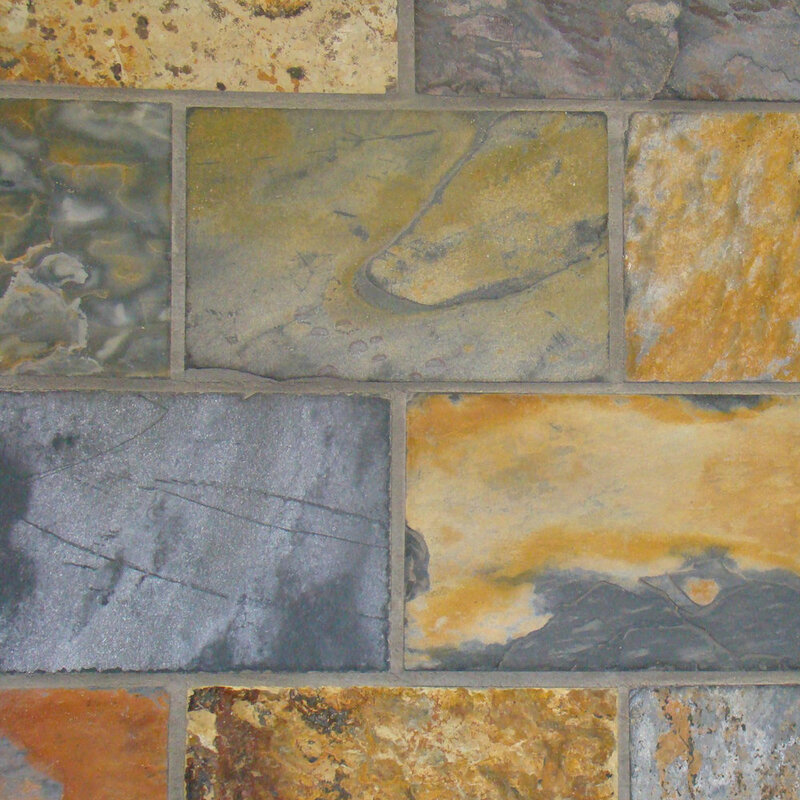 The least expensive natural stone.